This should have been the tale of swashbuckling vagabonds who ruled the seas by blasting ships with whizzing cannonballs before plundering them of their glistening treasures. But meet instead the most puny of pirates who preferred pampering to plundering and bowling to blasting! 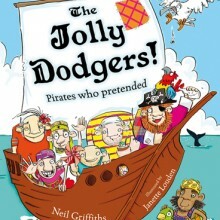 A skullduggerous story that sends shivers down the shins of piratehood!